Research shows that if given the choice, most women would prefer extended menstrual cycles. Many women may have medical reasons for wanting to skip a period including headaches, cramping, painful periods, heavy bleeding, and premenstrual syndrome (PMS). Other women just don't want the hassle of having a period—perhaps they have a vacation coming up, a honeymoon, a sporting event, or a big project at work. Having the power to skip a period can give you a lot of relief, both physically and emotionally. The good news is that skipping your period with the pill is easy, safe, and reliable. Most doctors agree that there's no medical need to have a period when you're on the pill. The truth is, you don't even have a true period when you're taking the birth control pill anyway. It's actually called a withdrawal bleed and since you're not building up your uterine lining when you're on hormonal birth control, it's unnecessary. Continue to take all the pills in your pill pack during the month prior to wanting to skip your period. After finishing the pack's active pills, do not begin the placebo (or inactive) pills. Instead, start day 1 of your next pack on the day that you would have taken your first placebo pill. Continue taking all the pills in your new pill pack. When you reach the placebo pills in your new pill pack, your monthly withdrawal bleed (period) should return. Keep in mind that some women may have spotting or breakthrough bleeding at the time when they would have had their period. Make sure you have enough pill packs (if you only want to skip one period, then you'll need two packs of pills—one for your current month and one for the upcoming month). Keep track of where you are in your pill pack since you must start the next pack during your fourth (placebo) week of your previous pack. If you only wish to skip one period, as soon as you begin your next pack, continue as you normally would. However, if you want to skip the next month’s period as well, just repeat steps 2 to 5 above. Some women are concerned about the safety of skipping periods. Research has consistently shown that this is common and completely safe to do. Also, keep in mind that skipping your period doesn't compromise the effectiveness of your birth control pills. Some insurance companies will not allow you to pick up a prescription early. Make sure to find this out in advance if you're planning to skip your period and need to purchase that next pack of pills before the end of the month. Get in to see a doctor to get a prescription. Make sure you have at least 3 weeks to take all of your active pills before you need to skip your period. Remember that you typically need to wait for your next period to begin to start using birth control pills. Hillin T. Is It Really OK to Never Get Your Period? Business Insider. Published January 11, 2017. Mayo Clinic Staff. 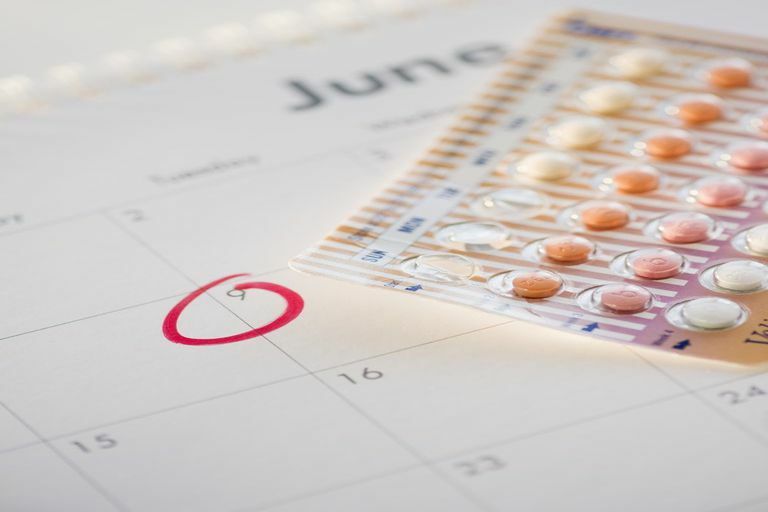 Delaying Your Period With Birth Control Pills. Mayo Clinic. Updated February 10, 2015.